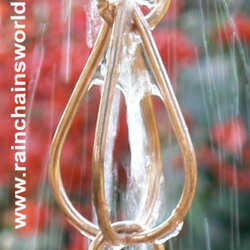 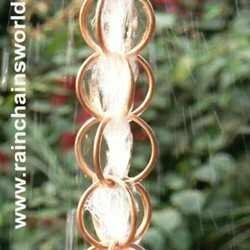 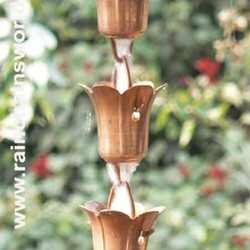 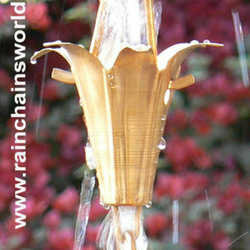 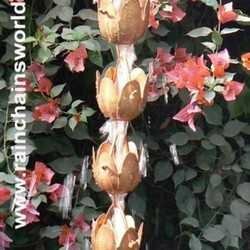 Copper Rain Chains are functional and decorative alternate to traditional gutter downspout that helps guiding rainwater into basin, barrel or bowl for further reuse - Today's "Water Harvesting" mantra. 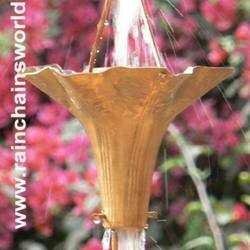 Originated from Japan, this wonderful little example of human ingenuity adds architectural accent to your home exterior, yard or patio and brings the harmony of cascading water to your backyard. 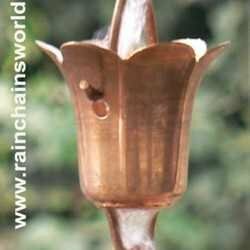 Over time copper develops a rich verdigris color, a notable example is "Statue of Liberty".